Development Research Partners conducted the study, which was sponsored by the Jefferson County Economic Development Corporation, the West Metro Chamber, the Metro North Chamber of Commerce, the Denver Metro Chamber of Commerce and Denver Water. With an estimated cost of $600 million, North System Renewal is one of the biggest renovation projects in Denver Water history. Work includes installing an 8.5-mile water pipeline through Jefferson County, building the new Northwater Treatment Plant next to Ralston Reservoir in Golden and modifying the Moffat Treatment Plant in Lakewood. Tunneling activity for the new pipeline began in 2017, and pipeline installation is expected to continue through 2022. Construction of the Northwater Treatment Plant began in 2018, with completion slated for 2024. NSR will generate $61.6 million in transactions with construction materials suppliers in metro Denver, including $10.2 million in Jefferson County. Soft costs of NSR, including project management, design and engineering will yield $105.8 million in contracts with metro Denver firms, including $25.4 million in Jefferson County. Approximately $7 million will be spent by transitory workers for lodging, including $2.8 million in Jefferson County. Project construction and associated spending will support an estimated 1,376 workers across the Denver area. 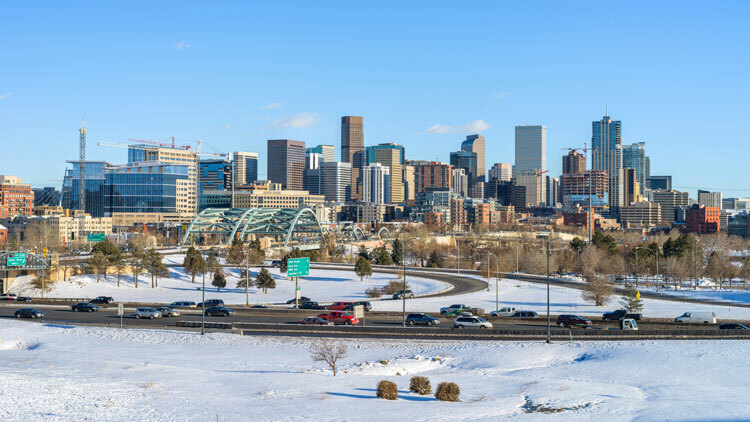 “Water and the necessary infrastructure investment support business development and contribute to economic growth, providing benefits to Jefferson County and metro Denver,” said Kristi Pollard, president and CEO of Jefferson County Economic Development Corporation. “NSR construction not only provides large, short-term benefits, but will positively impact communities by increased spending in construction, retail, dining services, lodging and real estate. See the complete report at https://www.denverwater.org/sites/default/files/north-system-renewal-economic-benefits.pdf.